*Check out Awkward Family Photos for more hilarious photos and ideas. 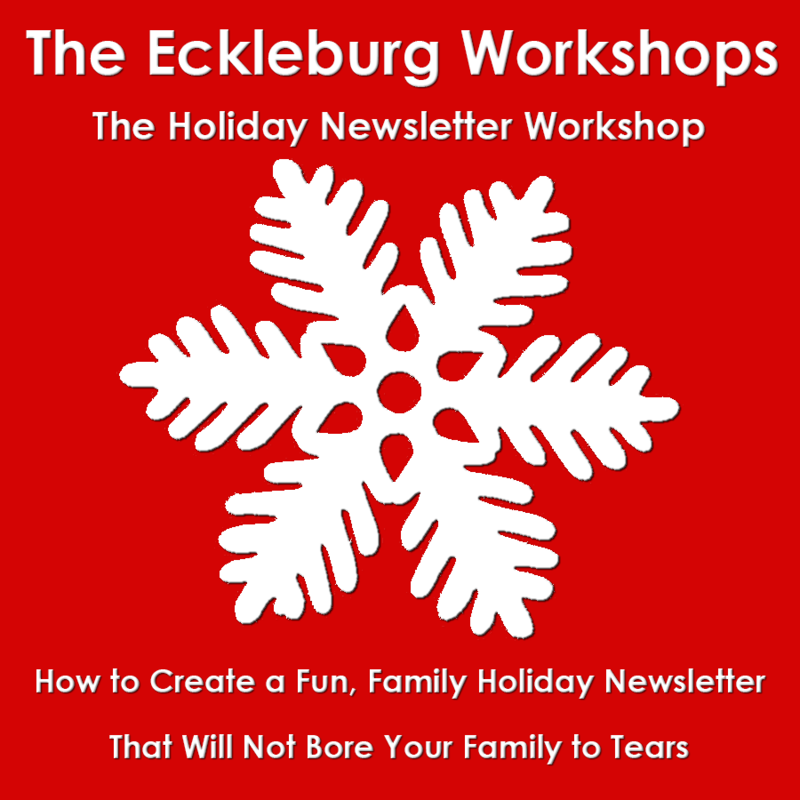 Join us at our FREE “Holiday Newsletter Workshop: How to Create a Fun, Family Newsletter That Won’t Bore Your Family to Tears” and create humorous, cherished, holiday newsletters for your family and friends. You know you’ve done it. You’ve opened the five page holiday newsletter that your sister-in-law sends out each year and you rolled your eyes and put it in the “I will get to it when I get to it” basket that inevitably becomes the spring fire kindling. What’s worse? You may have sent your own tome, three pages instead of five, believing you’ve trumped the five-pager, when really, it has ended up in the same basket at other relatives’ and friends’ houses, THOUGH, your mother and aunt Hilda really enjoyed it! No worries. We’ve all been there, but there is a better way! In this workshop, we will consider brevity, humor, images and more as you create a holiday newsletter that surpasses the boredom of the five-pager as well as the generic, kids in holiday sweaters holiday card. Your family and friends will not only read your letter, but will also enjoy it and put it on display, showing family and friends for months to come. This workshop is a free work at your own page, self serve workshop. If you would like to work with a faculty member on your fiction, essays, poetry and more while receiving individualized readings and feedback, check out our group workshops including Short Story I and II, Short Short Fiction, Novel I, II, III, Personal Essay and more at Online Workshops. Rae Bryant’s short story collection, The Indefinite State of Imaginary Morals, released from Patasola Press, NY, in June 2011. Her stories and essays have appeared in print and online at The Paris Review, The Missouri Review, StoryQuarterly, McSweeney’s, New World Writing, Gargoyle Magazine,and Redivider, among other publications and have been nominated for the Pen/Hemingway, Pen Emerging Writers, &NOW Award and Pushcart Prize. She has won awards in fiction from Whidbey Writers and The Johns Hopkins University as well as fellowships from the VCCA and Hopkins to write, study and teach in Florence, Italy. She earned a Masters in Writing from Hopkins where she continues to teach creative writing and is editor in chief of The Doctor T. J. Eckleburg Review. She has also taught in the International Writing Program at The University of Iowa. Rae is the director of The Eckleburg Workshops. She has a Bachelors in Humanities from Penn State with a concentration in Eduction and English Literature and minors in Art, History and Philosophy. In addition to her Masters in Writing from Johns Hopkins, she completed graduate coursework in Curriculum and Administration at Penn State. She has been teaching and lecturing for over twenty years in campus classrooms. Rae is a member of VIDA: Women in Literary Arts, AWP, NBCC, CLMP and Johns Hopkins Alumni Association. 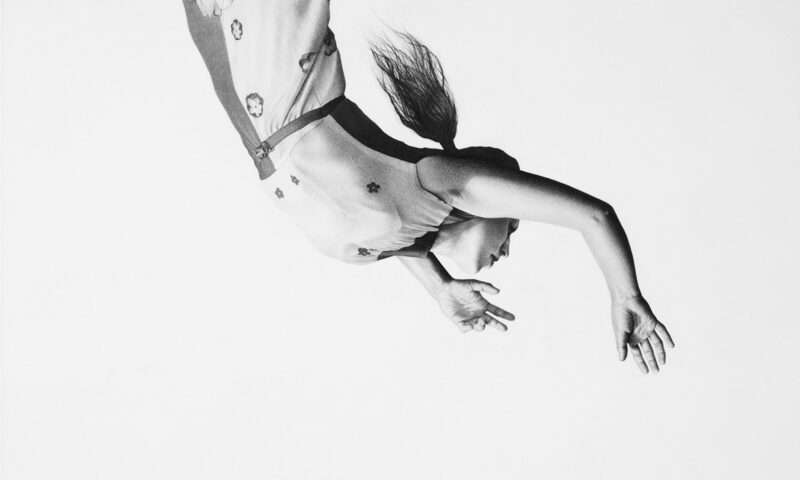 COURSES: Short Story II, Novel I, II, III, The Bukowski Workshop, Magic Realism I & II, Short Short Fiction, Young Writers and One on One Workshops.